“In science communication, words can be a problem. The complex language of chemistry is not just daunting; it tends to invoke and reinforce negative perceptions. 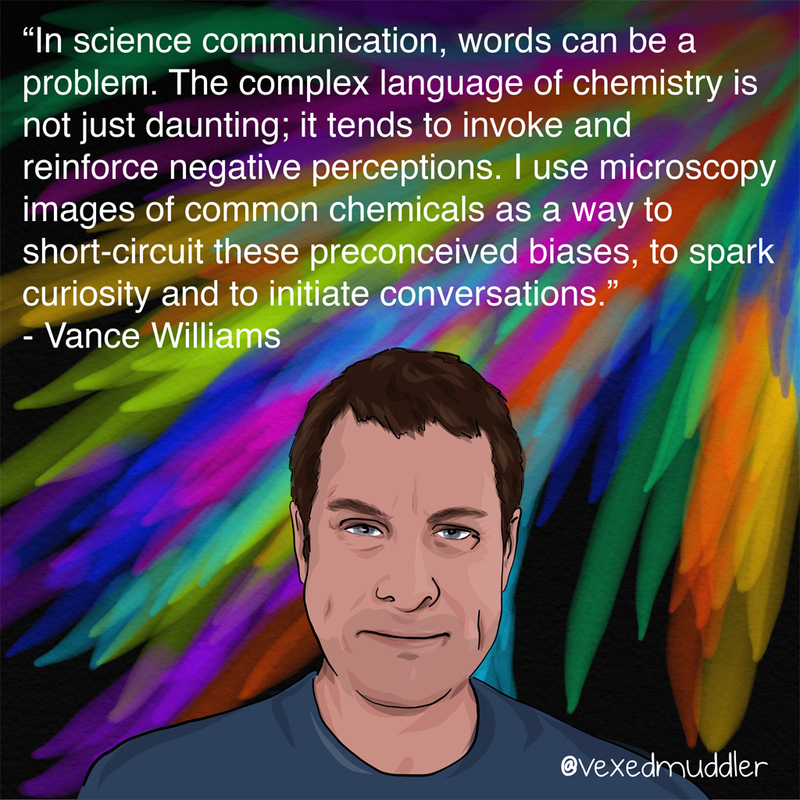 I use microscopy images of common chemicals as a way to short-circuit these preconceived biases, to spark curiosity and to initiate conversations.” – Vance Williams, associate professor of chemistry at Simon Fraser University. Originally posted on October 10, 2016.